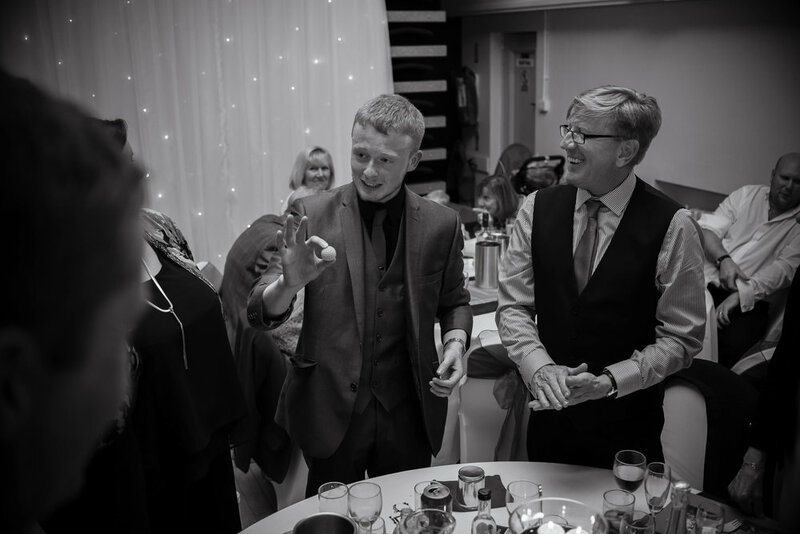 Alex is a specialist in performing Close Up Magic at Weddings and recently won the award ‘Wedding Entertainer of the Year’. His modern and contemporary style of magic brings both sides of the family together; perfect entertainment for your ‘Special Day’. 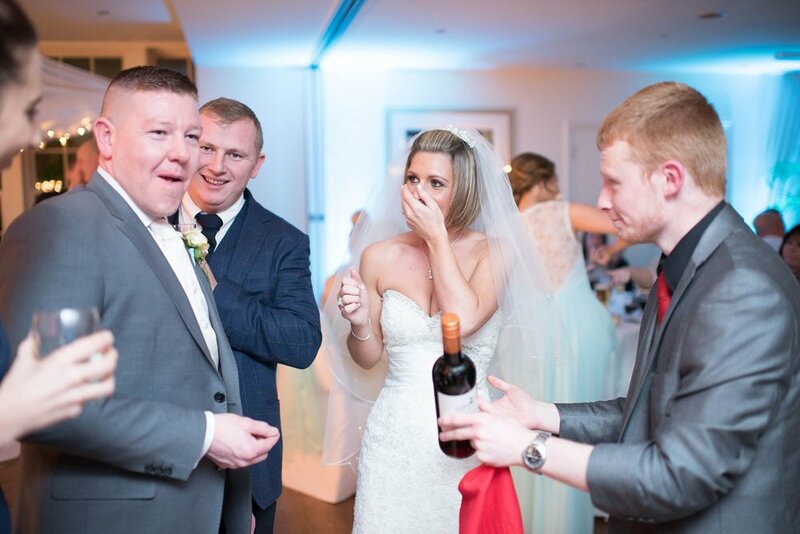 Furthermore, Alex always performs some ‘very unique’ magic just for the wedding couple, where they are left with a souvenir that they can keep forever as a memento of their Wedding Day. Here are the most popular options to consider when booking Alex to perform at your wedding. Of course, you may combine options and if you have something else in mind that you would like Alex to do, he is flexible to meet your requirements. 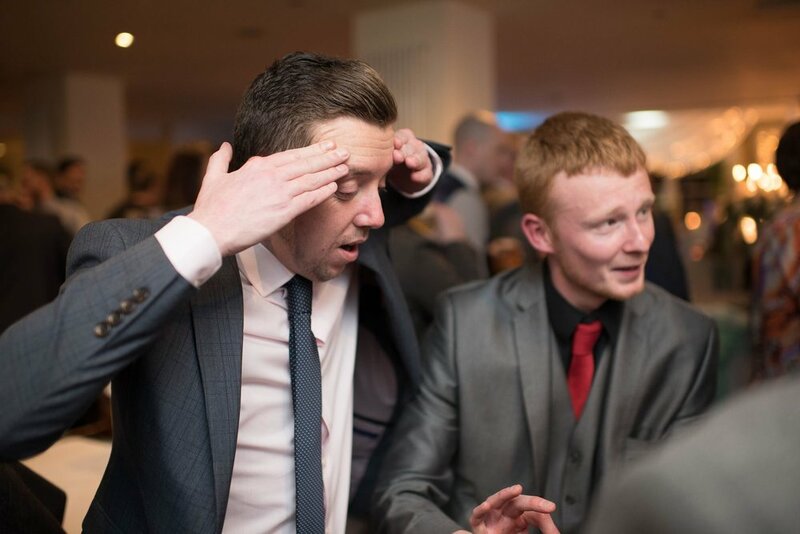 Alex will ‘mix and mingle’ between groups of guests keeping them entertained with his Award-Winning Close Up Magic. This helps while you are having your photographs taken. It is great for bringing the two sides of the family together and absolutely perfect for breaking the ice. During the Wedding Breakfast, Alex will perform at each table in-between the courses. This creates an additional talking point for guests and helps create that extra ‘buzz and excitement’ during the meal. 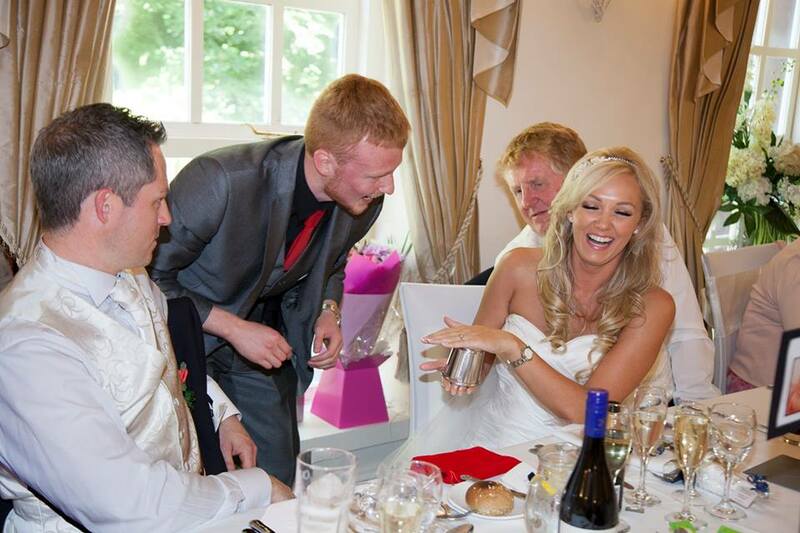 Expect gasps and cheers of pure amazement as your guests experience ‘top quality’ magic before their eyes. Alex performs whilst you and your guests are having post dinner drinks and cocktails. It is a perfect way to keep everyone entertained during a quiet ‘lull’ period (e.g. a room changeover) and allows guests, who are joining you for the evening party, to experience the magic too. 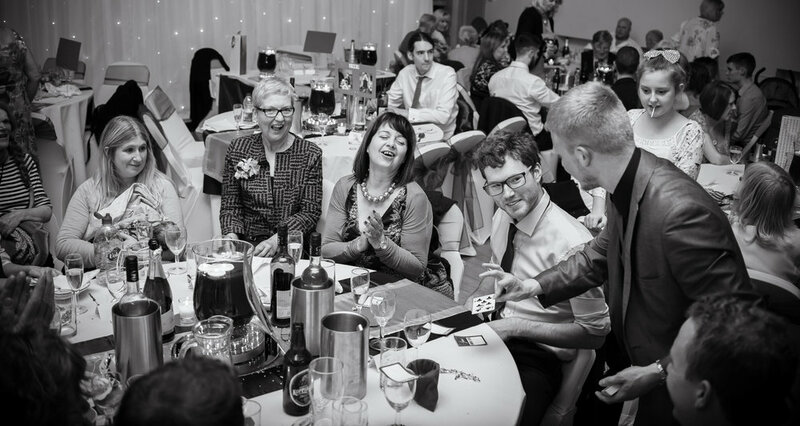 “Alex was an absolute pleasure to deal with… He was dressed immaculately, arrived on time and to say that he wowed everyone is an understatement… All we could hear were gasps and screams of delight and applause.” Mr. & Mrs. Roberts.